As a dentist in Goose Creek, SC, I see a lot of stress laid on maintaining good dental hygiene. Since childhood, we are conditioned to take extra care of our teeth and gums; brushing our teeth becomes a permanent fixture in our daily morning routine. 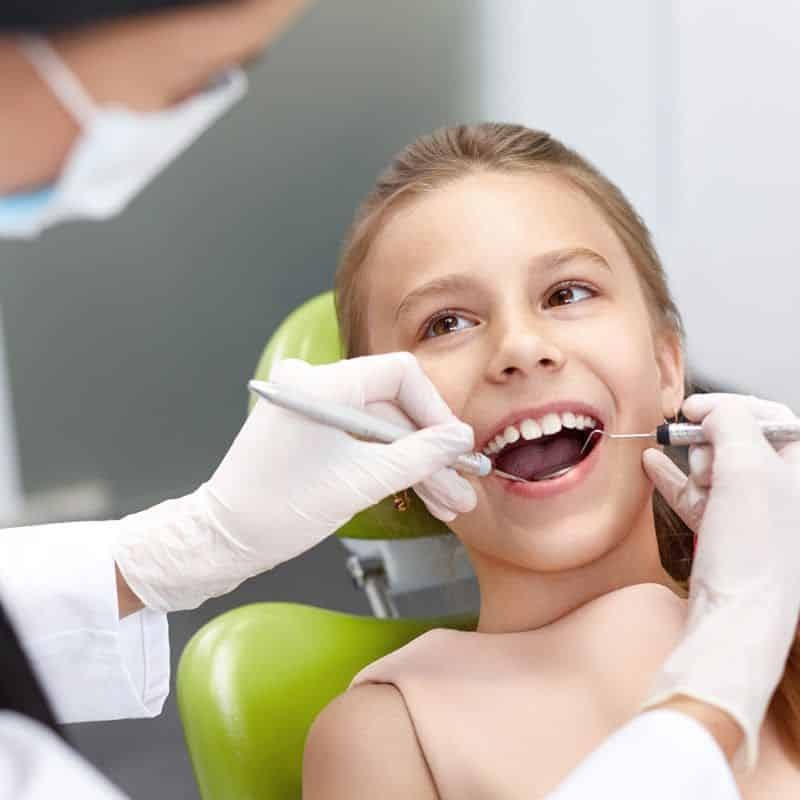 Various dental health and hygiene drives take place in schools and you are bound to come across at least one advertisement of an oral hygiene product while browsing through television channels. However, have you ever wondered why so much emphasis is put on maintaining a good dental hygiene? Dental hygiene is an important yet neglected part that can result in the decline of a person’s overall health. The food we consume passes through our mouth where it is broken down into smaller bits and is passed on to other parts of the body. Hence, dental hygiene can give rise to a number of health related problems. Some of the health concerns that can arise from having poor dental hygiene include diabetic complications, digestive issues, respiratory infections, cardiovascular disease and even dementia. Apart from major health concerns, poor dental hygiene can also cause bad breath, yellowing teeth, bleeding gums, and brain freeze. Not to mention the horrible impression that bad dental and oral hygiene can leave on those around you. In order to avoid all these horrible possibilities, you need to improve your dental hygiene, which can be done through adopting a healthier and stricter lifestyle. Dental treatments can burn a hole in your pocket, which is why we have compiled seven tricks that will improve your dental health whilst saving you from financial doom. You must have heard these instructions at least a hundred times before in your life, but do not give up on them just yet. It does not matter if you have had a long day, or if you have not had a proper meal, or have not consumed something sugary before going to bed; brushing your teeth before you sleep is imperative. If you do not brush your teeth before going to bed then the food particles get stuck between your teeth, start to rot and decompose in your mouth overnight. Brushing your teeth rids you of the germs and plaque that have gathered in your mouth during the day, to save you from the damage that will be done to your teeth and gums. Brushing your teeth twice a day is not enough, especially if you love eating sugary items and consuming junk food. You need to integrate other precautionary tasks in your dental routine such as flossing, using mouthwash and cleaning your tongue. The tongue and the gaps between the teeth can act as breeding grounds for germs and plaque. It is hard to reach the gap between the teeth sometimes through a toothbrush, which leaves tiny food particles stuck there to rot. Flossing gets rid of the food stuck in the hard to reach places in your mouth. Gently brushing your tongue is also necessary to avoid your mouth from germs that can damage your dental health. Mouthwash is also an active agent that fights against tooth decay and gingivitis among other problems while leaving your mouth smelling fresh. Drinking more water is good for both the dental and overall health of a person. Drinking water after consuming sugary and acidic drinks or food is recommended to help wash them down. This helps counter the possible damage that can be done by the residual acid and sugar left in the mouth. However, it is better to consume water that is at room temperature in comparison to cold or icy water. Moreover, drinking tap water is preferable, as it contains traces of fluoride in it. Maintaining a healthy diet is a must for everyone. You should consume more fruits and vegetables in your diet, and cut down on all sugary and acidic items, along with junk food. Cut down on sodas, carbonated drinks, and caffeine to avoid damage to your dental health. Sugary and acidic items have a very harmful impact on a person’s dental and overall health, especially if you do not rinse your mouth after its consumption. You must have heard the saying ‘an apple a day keeps the doctor away’, but did you know that eating an apple by biting into it also keeps the dentist away? It is recommendable to eat fresh fruits and even some vegetables by biting into them, instead of chopping them up into small pieces and then consuming them. Biting into them exercises the jaw, and helps the teeth and gums get stronger. Smoking is a major cause of dental health problems. Cigarettes and cigars contain nicotine that damages the enamel of your teeth, causes yellowing, bleeding gums, and bad breath. We understand that quitting smoking is a herculean task so it is better to initially switch to nicotine gum, which will curb your nicotine cravings and develop a habit of chewing gum in you. Once you are ready to quit nicotine altogether, you can switch towards sugar free gum that will exercise your jaw, remove residual food particles from your mouth, to aid you getting stronger gums. Having regular visits to the dentist is something that should not be avoided. It might be a bit costly, but it allows your dental health problems to be identified immediately, so they can be cured. Also, getting your teeth cleaned thoroughly and regularly from a dentist, is better than the expensive dental procedures you will have to undertake if you develop a serious dental health issue. It is recommended that you visit your dentist every six months for a general check-up unless you are not undergoing a specific dental treatment, in which case your appointments will be scheduled according to the dentist’s instructions. Follow these seven tricks religiously to maintain a good dental hygiene and develop a healthy routine. Implementing these will cover most of the dental hygiene bases, to give you an enchanting smile, healthier teeth and gums, and a better overall health. Aside from these seven tricks, there are a few other tips as well out there that will help you maintain your dental health. One such tip is to use toothpaste that contains fluoride; fluoride whitens your teeth to give you a bright and dashing smile, along with fighting tooth decay caused by acid attacks, active plaque and sugar consumption.